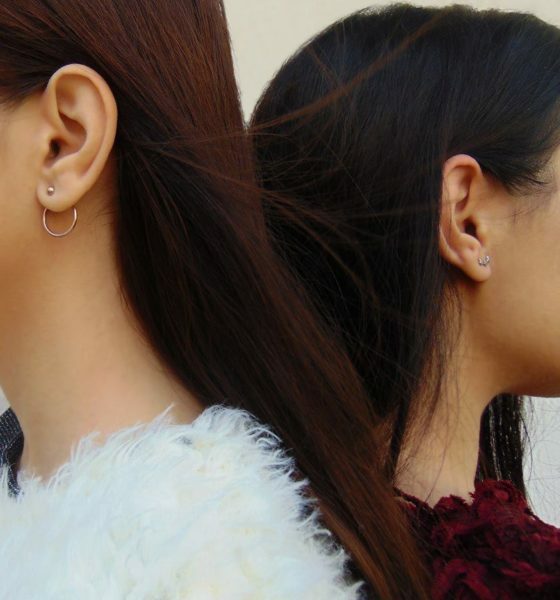 Delicate minimalist jewelry is getting a new cool update by the Kathia Bucho designs. 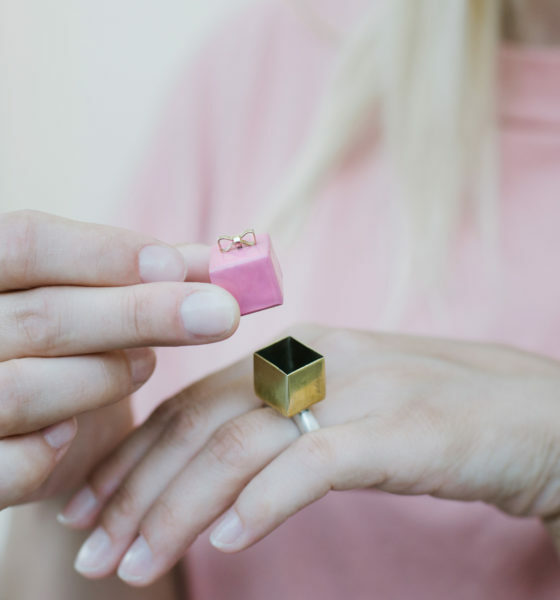 This Lisbon based jewelry designer shifts between mechanical structures and geometric shapes using unusual and unexpected materials like rubber, nylon or plastic, which results in true art. It’s polished, it’s futuristic, it’s sculptural, it’s a minimalist’s dream. We interviewed the designer to talk about her career path, design process, and her “CITY AFFAIRS” collection. Tia Teilli: Could you tell us a bit more about yourself? What brought you into designing? I have always been linked to the arts. Ever since I can remember I had a need to create and exercise this creative power I’ve always felt in me. Because of this need, you could always find me doing small projects like drawings, handicrafts, painting, sculpting… In fact I have always been doing something that involves creativity and a little bit of perfectionism. However, I ended up taking a cinema course and worked on television for 15 years. During that time I studied Contemporary Jewellery at Contacto Directo School in Lisbon. But back then, time was too short to fully develop this activity. After my daughter was born, I needed a calmer life and decided to leave my work on television. I dedicated myself to jewellery and finally to a life that provides me the skills and the power to create without boundaries. I completed the Art Jewellery course in the Lisbon Jewelry Center ( CJLX ), I set up an atelier and launched my brand. When it comes to contemporary jewellery I feel that I can design many aspects of other artistic areas and I’m able to reproduce this authentic miniature sculptures, and adding the ergonomic aspect and my perfectionism, it is always a challenge. 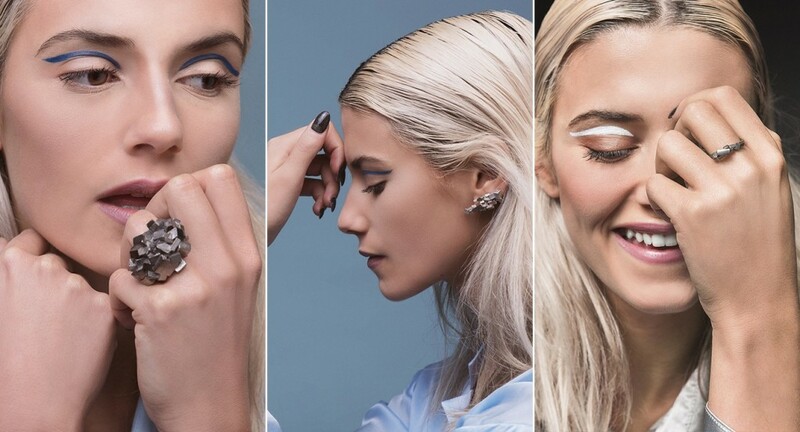 Tia Teilli: Your jewelry integrates usage of innovative materials and futuristic design.Where do you find inspiration for it? My inspiration always comes from emotions that I need to express, feelings that sometimes are unresolved and that I need to exorcise. Through creation, I shape them, exorcise them, and understand them better. Much of my individual conscience is put into the pieces, and sometimes if someone asks me about the concept of a piece, I do not reveal it in totality, I make a vague approach, because the concept is very personal and I do not need to reveal it. I just feel happy with the fact that someone uses it, they are also wearing some of my history and feelings. The use of alternative materials enriches and contrasts with the precious metals. It always gives it an irreverent energy. Sometimes metal by itself is not enough in terms of esthetics and concept. Tia Teilli: Could you give us a little insight on your creative process? I often resort to everyday forms which have some common aspects with the feelings that I want to convey. These shapes will help me to focus on the image that I want to achieve. I deconstruct them through several drawings, first by hand and then on the computer, solely to better understand the dimensions. I adapt and change them, always on several different days, to nurture the idea and also to evaluate if the project is worth it or not, if I disconnect or lose interest, it is because it is not strong enough. But when it is worthy of continuation, I also make a model and descriptive memory, where I will enumerate the stages of technical execution, which gives me time and to avoid production errors. In the end, I get a piece that in no way resembles the object of inspiration, which means that I have developed a good creative work. Tia Teilli: Favorite piece from your collection? It is difficult to choose a favorite piece, for me they all have huge meaning, either by the esthetic, either by the difficulty of execution or by the research process. There are times that I like some pieces more than others, but then I change my preference and so on. I really love them all! Tia Teilli: Which celebrity would you love to see wearing one of your pieces? I would like to see my jewellery worn by many celebrities, of course. But I have been thinking to develop a more conceptual collection inspired by Nina Hagen. Where I will commit myself to bolder forms, colorful and eccentric design. Nina Hagen is a powerful and charismatic woman and I absolutely love her music. The music is a part of my adolescence and I really admire her unctuous and daring aesthetic style. I will exorcise many aspects that I need in this project, and I already have all her albums ready for listening in the creative process. It will be something for developing with great care and commitment. And Yes! It would be absolutely glorious to see Nina Hagen wearing her collection. Tia Teilli: What are your plans for the future? I want to expand my brand worldwide, get good points of sale around the world and launching one or two collections per year. I would need a high level team to deal with my brand image and deal with the negotiations, though. I would like to reach the stage where I will only dedicate myself to create and design. Between collections, I intend to make my conceptual jewellery which will allow me to work without boundaries and put myself in a good place on contemporary Jewellery world map, which I definitely want to achieve. Thank you Kathia for this great interview! Such a great interview!! Very interesting! I’ve seen some photos of her collection, but I didn’t know she was portuguese! So proud, the pieces of jewellery are stunning! 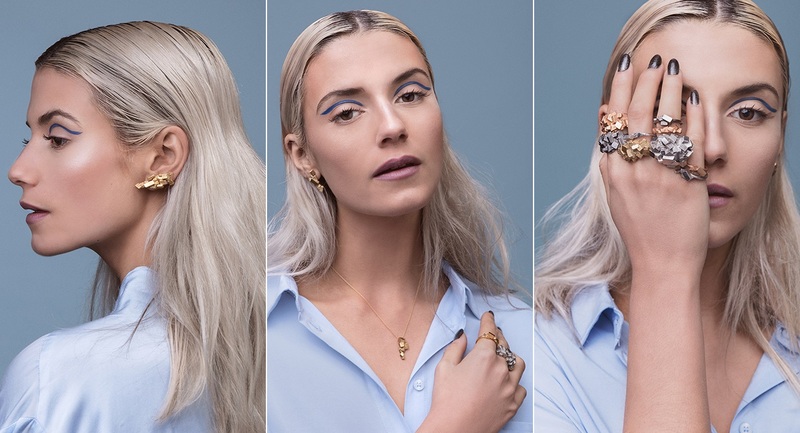 This is such a great interview, and I’m loving the beautiful jewelry collection! I love this jewelry collection! so fun and wearable! Oh yay, a portuguese jewelry designer! Portugal has so many great designers, it’s incredible. Beautiful pieces!